Diana Bunin Kolev is a member of the Land Use and Zoning practice group. Ms. Kolev represents real property owners in areas such as zoning and land use approvals, zoning and municipal code violations, environmental law, and real property law, and litigates in both federal and state courts. 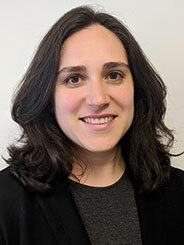 Ms. Kolev counsels on matters involving compliance with New York State dam regulations and associated real property concerns, including lake rights. Ms. Kolev also counsels not-for-profit organizations with respect to real property issues, including tax exemption issues. Prior to joining the firm, Ms. Kolev was a partner at Shamberg Marwell Hollis Andreycak & Laidlaw, P.C.